Catch and Release was a beautifully emotionally book that took me on a truly phenomenal journey with these extremely authentic characters. It not only gave me Darby and Trace’s heart squeezing story, it gave me every single thoughtfully crafted emotion and feeling they had. Every one of their doubts and heartbreaks they had along the way. All of their vulnerabilities. All of their ups and downs. All of the moments that defined their relationship. Every single magnificent piece of their journey together. I got it all in Catch and Release, and I couldn’t be more thrilled with that. 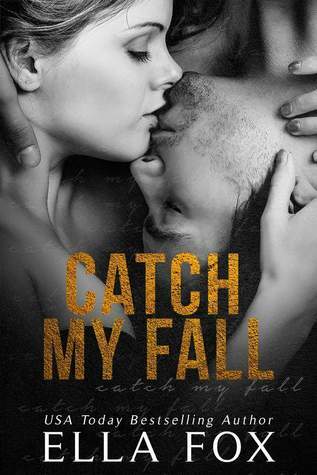 I have been waiting for this story since I read Catch My Fall. That was actually the first book I ever read by this author, and it’s was solidified her as one of my favorites. While falling in love with Mia and Tristan’s story in that book, I got to fall in love with Darby and Trace too. I knew those two had one helluva past, and I was ecstatic to get to experience that in this book. This book and their past and story gave me so much more than I expected, and I enjoyed every single fantastic word that this book gave me. Darby is strong as all get out. Darby is probably one of the strongest female characters that I have ever read. She is fiery and sassy, and is as vibrant as can be. That is her through and through, and I relished in getting to read the strong female character that she was. Darby has so much fight in her and that just defines her character in the best way. I loved getting to know her over the course of this book and seeing that strength come out in so many different and magnificent ways. My heart just went to that girl because no matter what she was strong and determined and gave it all she had, and that just made her golden to me. Trace’s heartbreaking past. Having read Catch My Fall, I knew that Trace and his brother Tristan had a horrendous childhood. Catch and Release lets you see Trace’s childhood first hand, and let me tell you, that will just break your heart for him. It’ll also have your heart instantly going to him and his brother for what they endured. As much as it pulled at my heart to read about Trace’s past, I thought it was phenomenal to see how that past in turn affected him as he continued on and with his relationship with Darby. Seeing and really experiencing his character’s past gave me a new and utterly exceptional understanding of his character, which connected me so much into him and his story. The depth of feeling. You really feel over and over again in Catch and Release how deeply Trace and Darby feel for one another. This book gives you the extraordinary opportunity to see Darby and Trace’s relationship right from the beginning and through so many stages. Getting to experience that allows you to fully feel and know how deeply these two feel for one another. When you feel that reading this book it’ll make you hope with all of your heart that these two can figure out a way to make it work because you know how truly and deeply they love each other. Understanding the past. One of my very favorite aspects of this book was getting to understand the past of both of these characters. This book starts at the beginning of Darby and Trace. You get chance to see them grow and develop as individuals. You also get to see how their relationship evolves over the course of the book too. I loved how Ella Fox gave me these characters’ pasts because it allowed me such a magnificent understanding of them both. It also made me fall in love with both of their characters, as well as what they were fighting for. Getting the pasts of these characters is just one of the many aspects that pulled me in so deeply to what I was reading in this fantastic story. The heartbreaking moments. Catch and Release has a lot of heartbreaking moments. Whether your heart is breaking for Trace and all that he has to go through and experience. Whether it’s for Darby and experiencing what it’s like for her to watch Trace go through those things, or when she’s losing parts of herself because of what is and isn’t happening in their relationship. Whether it’s for Darby and Trace as the push and pull in their relationship slowly starts to take its toll. Whatever it is, this book will give you so many heartbreaking moments. You might think it’s strange that I enjoyed reading that, but that heartbreak emotionally connected me to these two from the instant I met them. It allowed me to fight for them, care for them, and just love them wholly. Those heartbreaking moments gave me Darby and Trace at their most vulnerable moments, and made my heart go to them again and again. The level of fight that defines this book and characters. I loved the level of fight that was in Catch and Release. In this story you get many different types of fight from all of the characters. Trace is fighting against what he’s feeling for Darby. Darby is fighting for Trace to realize he is good and whole and so immensely worth it. They’re both fighting with the feelings they share for one another. I have to say it was also just refreshing to read a story where the female character is the one with the fight, the one who tries to help and heal. I love these kinds of stories and that’s just one of the many reasons I loved this book. The fight goes on and on, and the way that fight thoughtfully weaves itself into this story is nothing short of wonderful. Catch and Release tells the emotional journey of two characters that I just loved to pieces. This story gave me so much of them, and I guarantee that you will fall heart first in love with both Trace and Darby as they try to figure out what could happen if they really gave it a shot. I really cannot recommend this book to you more. It is beautiful, emotional and just downright phenomenal. Trace and Darby and their heart pulling story will just pull you in, and you won’t want it to let you go. This story will give you so many emotionally intense moments that will have your heart going to these characters over and over again. You will feel for them. You will love with them. You will break with them. You will try to heal with them. You will fight for it all right along with them. You will do it all with them, and that is just part of what makes this book an exceptional read.